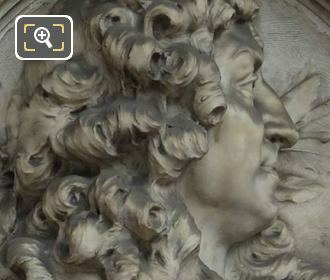 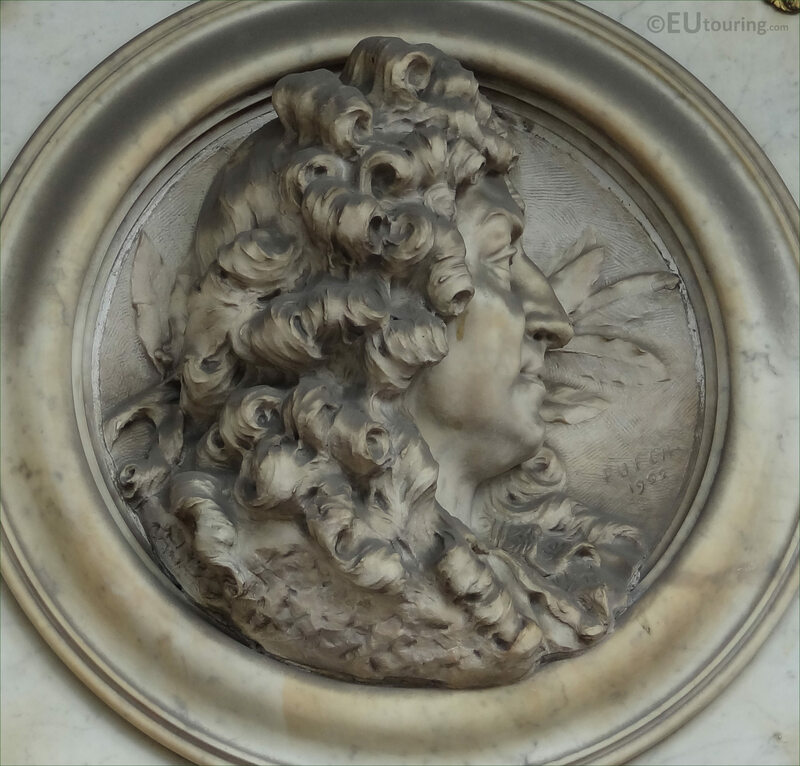 While we were in the 1st Arrondissement of Paris at the Comedie Francaise by the Place Colette, we took these high definition photos of a medallion bust portraying Jean Racine, which was sculpted by Denys Puech. This first HD photo shows a medallion style bust of Jean Racine positioned in a surround on a facade of the Comedie Francaise, which is a part of the Palais Royal by the Place Colette, and sculpted in marble by Denys Puech, this was put in place in 1909. 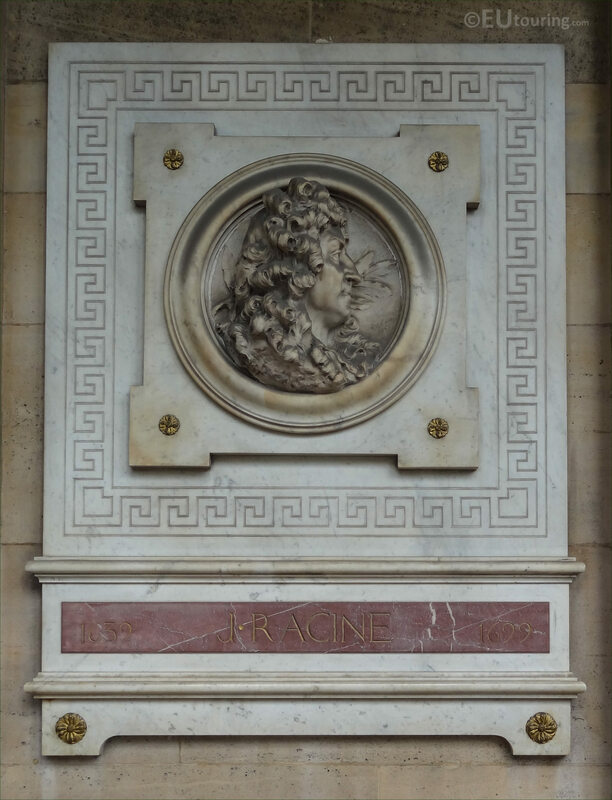 Yet here you can see a close up showing the detailing that went into producing this marble bust of Jean Racine, who was born in 1639 and becoming a French dramatist, he is recognised as one of the three great playwrights of the 17th century, with his works such as Athalie being in a tragedian style like those of Pierre Corneille. 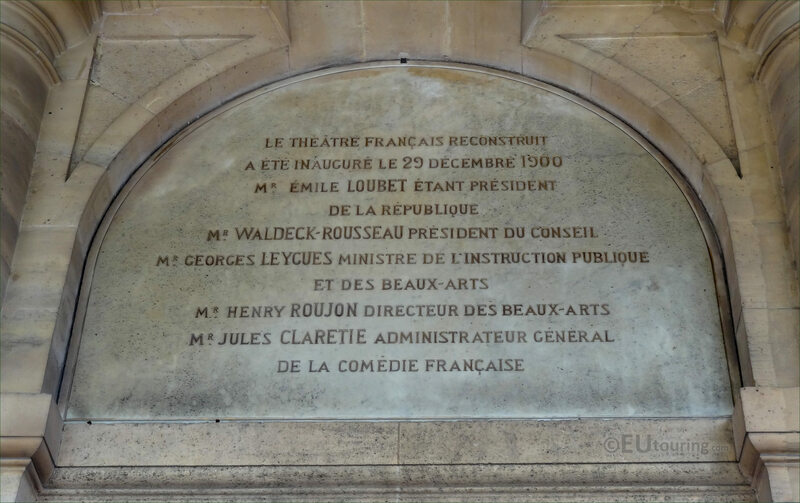 And as you can see, the list of names with their positions were some of the more prominent dignitaries at the inauguration. 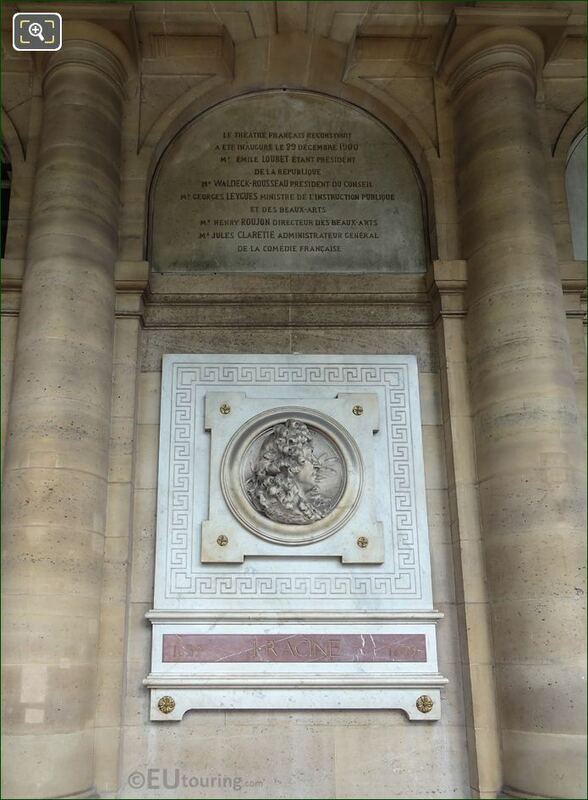 But here you can see the entire section between the columns of the Comedie Francaise facade with the inscription and the bust of Jean Racine, which as we mentioned earlier, was sculpted by Denys Puech who was born in 1854 and studied at the Ecole des Beaux Arts under sculptors such as Francois Jouffroy. 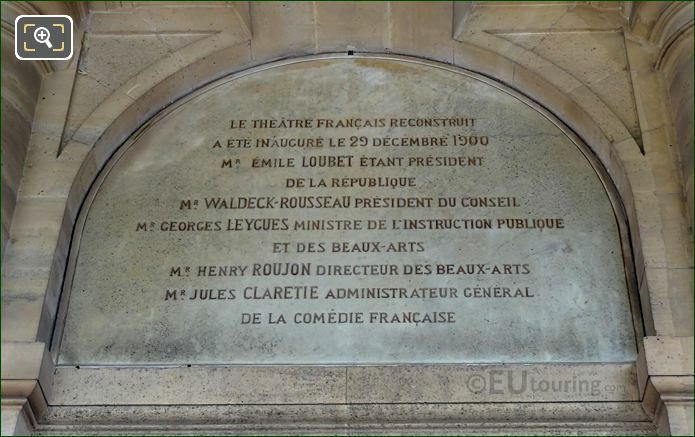 Winning the Prix de Rome, Denys Puech had a very successful career and received many medals and awards along the way including Knight of the Legion of Honour, then he was promoted to Officer then to Commander in 1908. 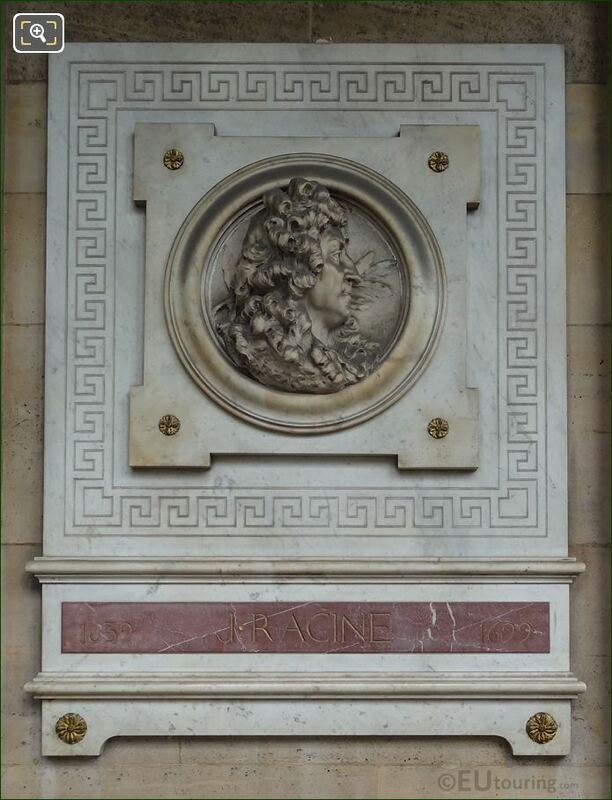 His numerous works totalling over 500 can be seen at many places throughout France and at tourist attractions in Paris such is this and three others on the Comedie Francaise, the Luxembourg Gardens, Petit Palais, etc, even though he still managed to have time to teach others plus be the director of the Villa Medici French Academy in Rome.